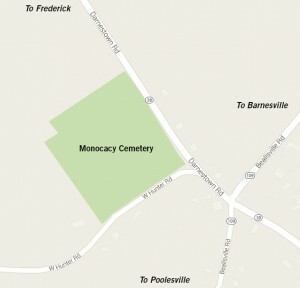 The Monocacy Cemetery collection also includes portraits of the relatives of people buried here, but who are buried at other locations. For genealogical purposes, they have been included here. Portraits are a very important part of our digital database. We have collected them from various sources and we respect the wishes of their contributors not to distribute them. If you would like to download and use these photos for personal reasons, please be sure to check the photo credit description under each image for the name and email address of the person who contributed it. Permission MUST be granted to distribute these images.